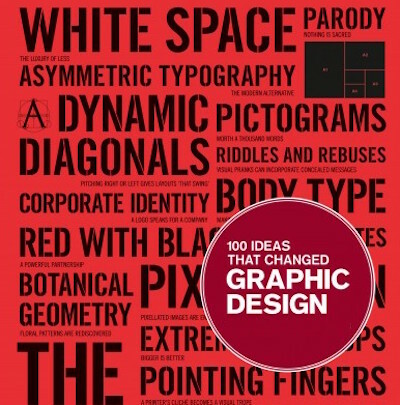 100 Ideas That Changed Graphic Design, by Steven Heller and Veronique Vienne, is part of Laurence King's 100 Ideas That Changed... series. Others include Photography, Film, Architecture, and Advertising. Every book in the series has the same format: 100 chapters, each with a single-page essay and a full-page illustration. Heller and Vienne's 100 ideas are dominated by design elements (such as pointing fingers), and the selection seems rather arbitrary. There's surprisingly little material on digital design, though the book has extensive coverage of print media. Heller is one of the leading historians of graphic design, and his many previous books include Illustration: A Visual History.